The Essex accountant, bookkeeper service and tax adviser dedicated to helping you get your financial house in order and keeping it that way. Payslips for Small Business Owners – What are the Legal Requirements? The Employments Rights Act sets out the requirements of producing payslips for employees. The requirements are that you need to supply an employee with a payslip on or before their pay day. This requirement covers both full time and part time employees. It is also wise to print an employee’s National Insurance (NI) number and PAYE Tax code on each payslip to reduce future queries. If in doubt, always ask a qualified accountant such as Transform Accounting who will often be able to perform the payroll function and production of payslips on your behalf. When a UK business makes sales to overseas customers, it can be a little confusing at first when deciding how to treat VAT. Here are a few tips for preparing invoices for export sales of goods from a UK supplier’s perspective. 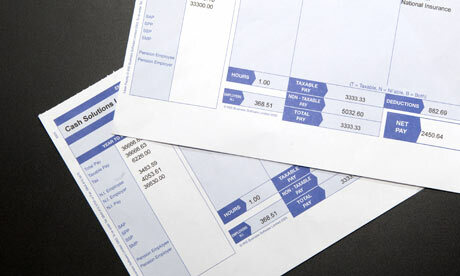 Be sure to check out our other guide for how to invoice for services which are slightly different. The following applies to a UK trader who is VAT registered. If a customer is a business based in a country within the EU, and is also VAT registered, then the invoice should not contain UK VAT as the sale is considered to be Zero rated.Note: to qualify for zero rate, the customers VAT number must be quoted on the sales invoice in addition to the suppliers VAT number which should be quoted on all sales invoices. If the customer is a small business in an EU country, and is not VAT registered, or alternatively is an end consumer, then UK VAT must be charged as normal on the invoice. If the customer is outside of the EU, then no VAT should be charged. The customers VAT number is not required. There are a few other items which are also important when preparing documentation for exports. Proof of export must be obtained within three months of the sale and must be retained for potential inspection. Zero rated VAT is later dealt with on the UK suppliers VAT return using the reverse charge mechanism. All of the above applies only to UK companies who are VAT registered. Sole Traders who are not VAT registered must not charge VAT under any circumstances. Transform Accounting are Chartered Management Accountants and Tax Technicians able to assist with personal tax returns, sole traders and company payroll whilst specialising in limited companies, consultants, contractors and business start-ups. Fixed fee packages are available as are free initial consultations. Customer references are available on request. It is common practice for employees to be reimbursed a reasonable rate per mile for using their own car whilst on company business. HMRC issue a system of Approved Mileage Allowance Payments (AMAP) which applies to employees using their own vehicle for business journeys. Whilst HMRC issue the above rates, it is still up to the employer to decide their own reimbursement rates. If the employer pays more than the AMAP rates, then a benefit in kind has occurred and the benefit needs to be declared on an annual P11D form. If the employer pays less than the AMAP rates, then the employee is entitled to claim tax relief for the shortfall (Mileage allowance relief). 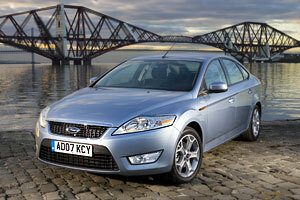 This relief is also applicable to employees who are paid a company car cash allowance. This tax relief is the difference between the AMAP rate and the company rate, multiplied by the number of miles claimed. For a higher rate tax payer who completes a large number of business miles, this recovery can often generate a significant tax reduction. 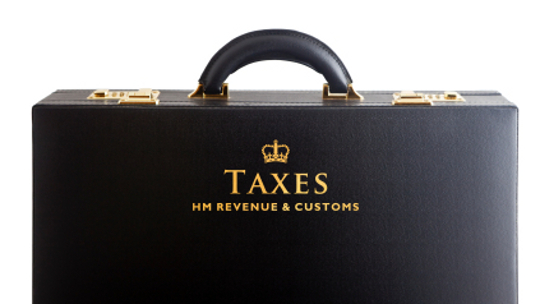 Therefore, an additional tax relief on £3,650 (£5,750 minus £2,100) can be claimed on your annual tax return. When a UK business makes sales to overseas customers, it can be a little confusing at first when deciding how to treat VAT. Here are a few tips for preparing invoices for export sales of services from a UK supplier’s perspective. Be sure to check out our other guide for how to invoice for goods which are slightly different. If the customer is in a country within the European Union, then the invoice should not contain VAT as the sale is considered to be zero rated. Note: Unlike the supply of goods, for the supply of services to be zero rated, the customer must merely be a business and does not have to be a VAT registered business. If the customer is outside the European Union, the invoice should be treated as zero rated regardless of whether the customer is either a business or a consumer. The customers VAT number is not required. The basic rule for establishing where a services transaction is deemed to have taken place is usually the location of the customer. The normal rules for sales to consumers in the UK from a supplier outside the European Union (eg – Jersey or the USA) are that the UK VAT must be paid by the consumer when the goods are collected. For example, an item with a value of £100 imported from the USA would incur a £20 VAT charge when collected by the end consumer. An item with a value up to £18 has historically been allowed to be imported into the UK VAT free. This arrangement was historically put in place to allow perishable foodstuffs through with no delay, but in more recent times this has been used by importers of CD’s and DVD’s (often based in Jersey) to give a competitive edge over UK retailers who have to charge 20% more in the form of VAT. From the 1st Nov 2011, the UK government reduced this amount to £15 and is continuing to review this situation so watch out for further changes. New Business Start Up – How to Choose an Accountant? Starting a new business can often be both and exciting and daunting experience. Whatever your business is going to be, one thing that must be dealt with as soon as possible are the administration and accounting. Regardless of whether this is your first experience of being self-employed, or another new venture, it is essential to select the right accounting partner to help develop your successful business. Transform Accounting specialise in helping new start-up businesses. We offer a series of packages with low cost monthly payment terms that enable accounting charges to be spread out evenly during the year. These packages mean that we are able to deliver start up services such as new limited company creation, companies house registration and appropriate tax registrations. We can also give advice regarding appropriate company structures (sole trader or limited company) and also help and guidance on record keeping, invoicing and the filing of tax and VAT returns. Transform Accounting pride themselves on being approachable, low cost and supportive of new business owners, whatever their level of financial experience. 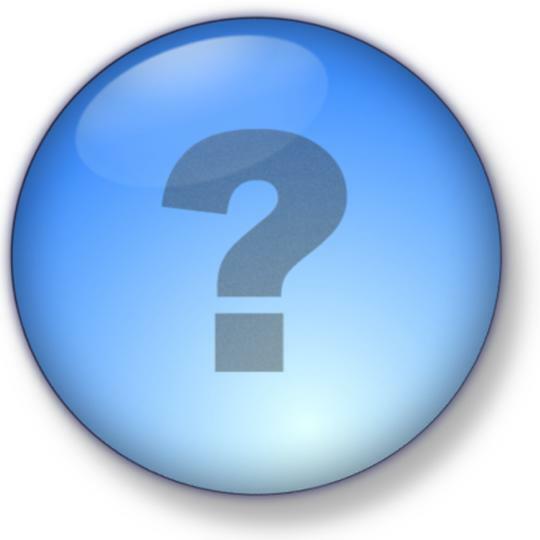 How to Choose An Accountant For Your New Business? At Transform Accounting, we often meet clients who have been dissatisfied with their previous accountant, but are often surprised at just how long it can take before the client looks for a replacement. In addition to these, we also see many clients who were unsure as to whether their accounts and tax returns had been properly reviewed by a suitably qualified accountant to ensure tax payments were kept as low as possible. Many clients we meet also stick with their existing accountant for fear that a change would be too much hassle. In reality, this change should not cause the client too much hassle and most good accountants will help to handle this switchover on your behalf. So, what should you look for in a good accountant? Firstly, a good accountant will be able to give you good advice to ensure that you do not pay too much tax. In many cases, the fees of the accountants are actually offset by paying a lower amount of tax. Be sure to choose an accountant who has up to date tax knowledge and qualifications, and one who will be able to give appropriate advice rather than just making a basic filing. Secondly, a good accountant should prevent any last minute panics by making sure that you have timely reminders about when your tax and VAT returns are due, and should work with you to make sure that everything is filed in plenty of time. Remember, there are no downsides to making a return promptly and no advantages to filing at the last minute. Some accountants will even offer discounts to their fees for making a filing in the middle of the tax year rather than their busy period at the end of the year. Thirdly – find an accountant who you are comfortable with. Some web based services can appear to offer the cheapest fees, but they will usually offer virtually no advice, certainly no face to face contact and you may find your return is handled by an unqualified office junior. It is common practice for the cheapest web based services to e mail you a series of spread sheets for the client to complete, and then these are just processed and electronic tax filings are made. Some clients may prefer a local, one or two man (or woman) qualified accountant who can provide a more personal service such as Transform Accounting, whilst others may prefer to visit a high street practice with multiple accountants and a wider range of services, but possibly higher fees due to higher overheads. Whichever you decide is best for you, it is essential to find an accountant that you feel comfortable with and who can provide you with the appropriate financial and tax advice for your situation or business. Finally, ask to be put in touch with other clients who are able to provide references regarding the service they receive from their accountants. But we also like to blog about some more light hearted items with a finance theme. At Transform Accounting, we love a top 10 list as much as anybody. To follow on from our series about our top 10 finance books, we now turn our attention to movies with a finance theme. We will be counting down from 10 to 1, giving some movie reviews of our favourite 10 finance movies. All are worth checking out and those at the top of the list are a must see. Here is the sixth in a series of ten movie recommendations. Be sure to check back for the rest of the series. 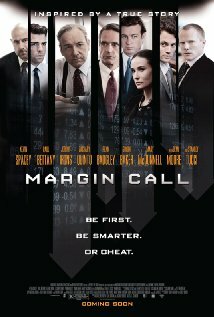 Margin Call features a star-studded cast including Kevin Spacey, Jeremy Irons, Demi Moore and UK actor Paul Bettany. It is set in the aggressive world of investment banking on the eve of impending financial disaster when a young risk analyst discovers that the highly leveraged trading positions of the bank have left it exposed to a potential and imminent collapse. What follows is a long night of panicked double checking and escalation to senior management before the decision is made to do anything, ethical or otherwise to save the bank by unleashing a firestorm in the financial world. This brings on moral and ethical issues for the traders who have to sacrifice both their clients and their own future careers to offload the toxic assets held by the bank as quickly as possible to anyone who will take them. Margin Call is a truly fascinating insight into the world of investment banking during the time of chaos and financial collapse. The plotline was clearly inspired by the recent financial meltdown and in particular Lehman Brothers, Bear Sterns and AIG.